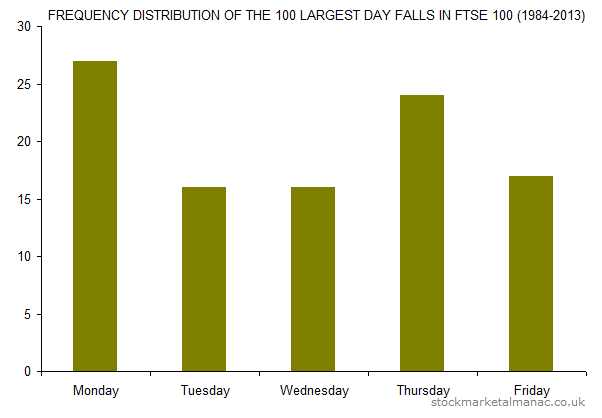 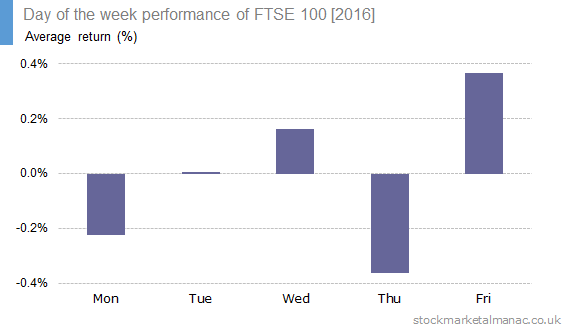 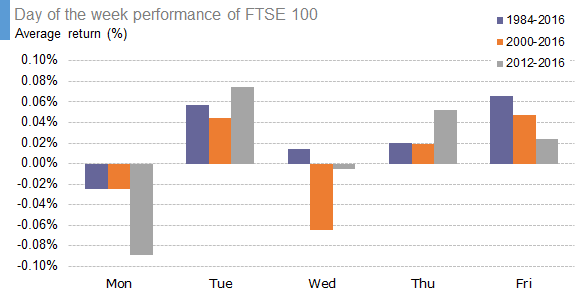 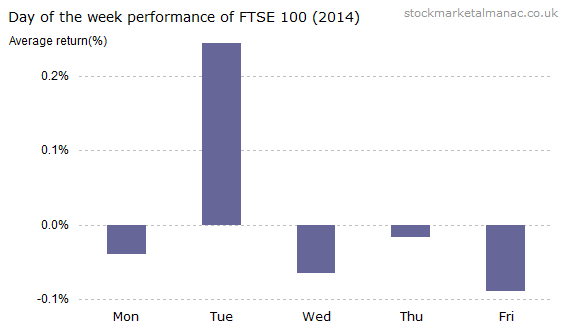 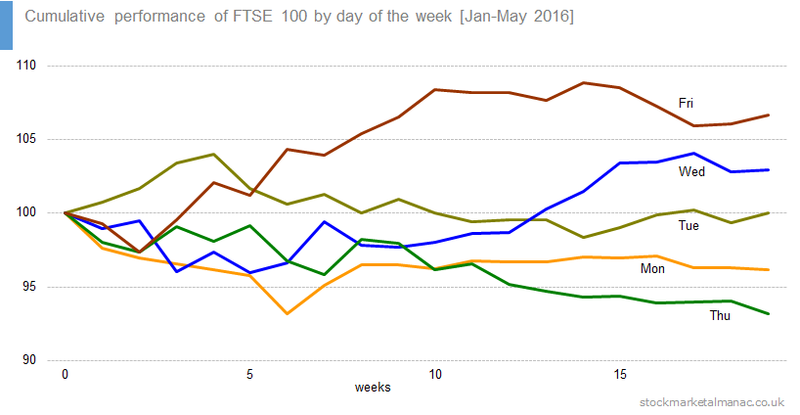 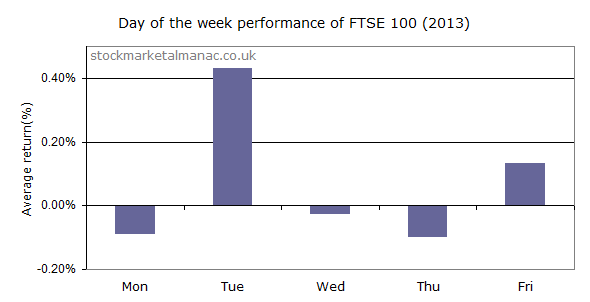 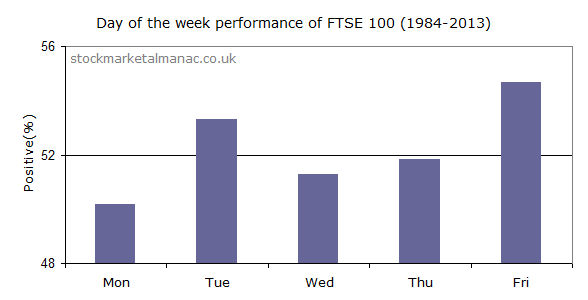 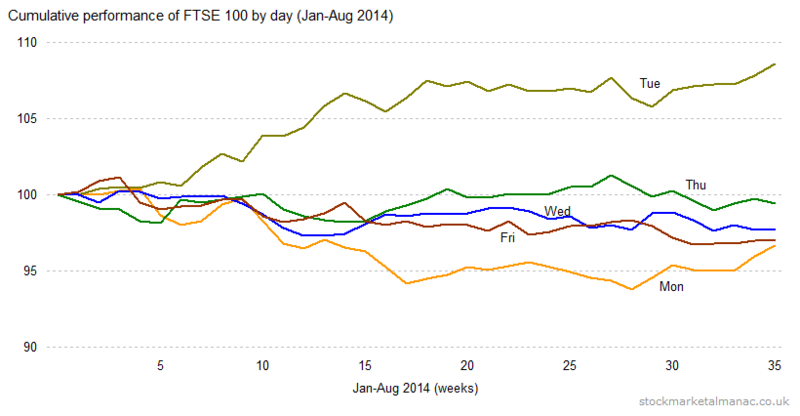 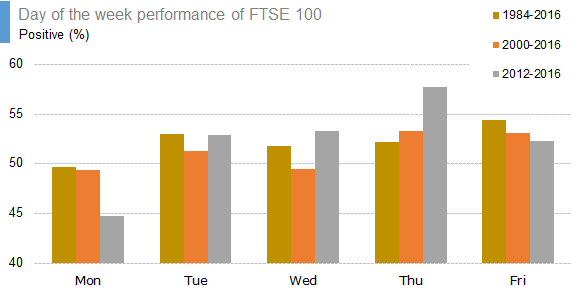 The following chart shows the average returns of the FTSE 100 Index for each day of the week since 1984. 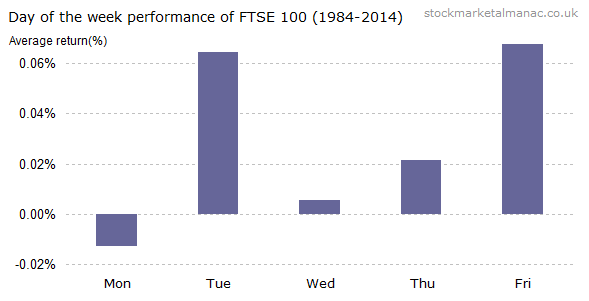 For example, since 1984 the average return of the index on Monday has been -0.01%, while for Tuesday it has been 0.06%. 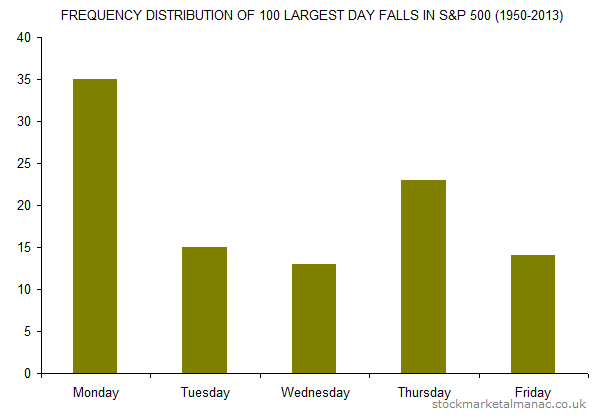 But the above analysis is over a long period and the return characteristics of the five days changes somewhat over time. 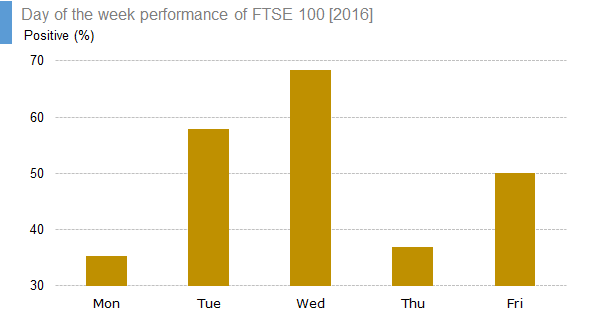 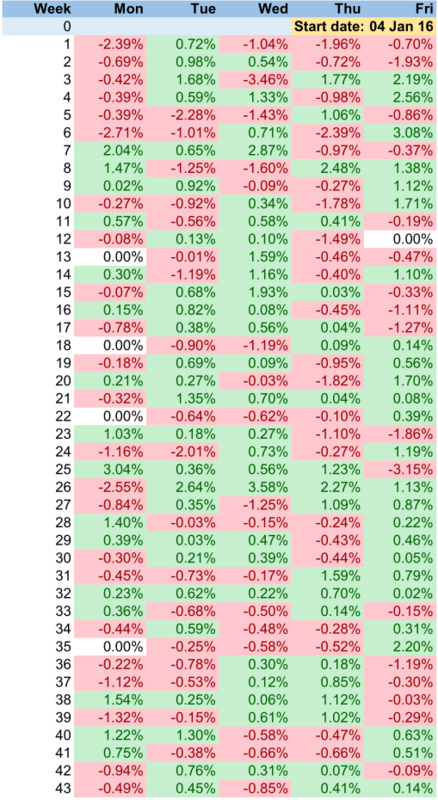 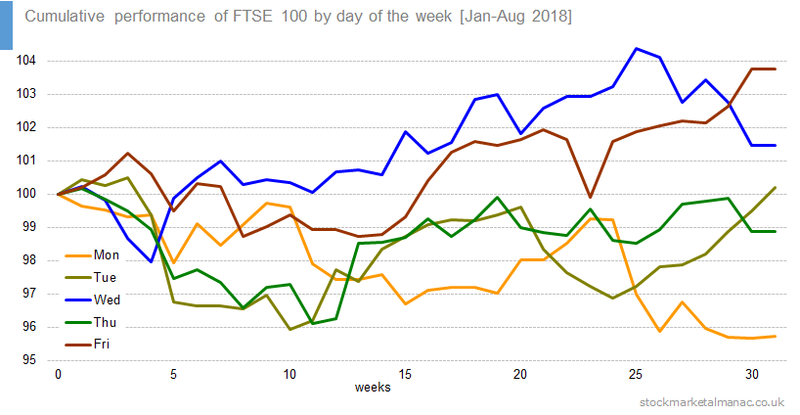 For example, the following chart shows the average returns of the FTSE 100 Index for each day of the week for the calendar year so far. 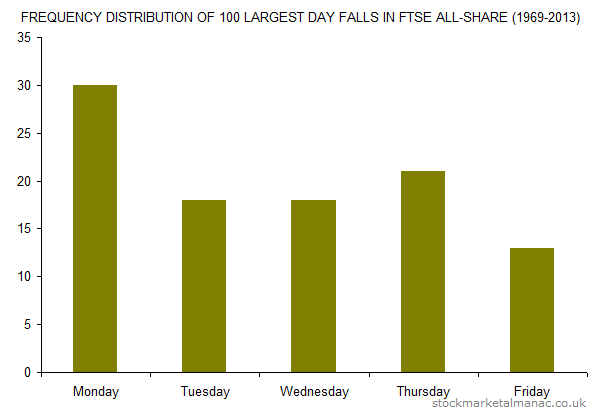 This has the rather odd result that the only day with a positive return in 2014 so far has been Tuesday by a large margin – on average the the market has fallen on the four other days. 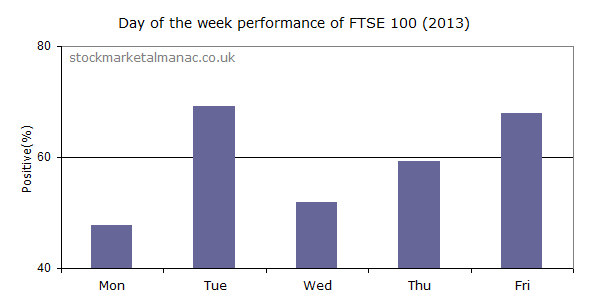 The following chart plots the cumulative returns for each of the five days of the week for the first eight months of the year.